I have a 66 that I can't get the rear sight out? I have flattened the brass punch so much I have had to reshape the end several times. I am trying to move it left to right. It appears to move a little up and down at each end but won't budge in the middle. I think I am going to buy a cheap heat gun and give this a try. This gun has a period V type sight and I want to put in whichever of these looks best on the gun. Post a picture of the sight that is on it. Is this a carbine or a rifle? What is period V, I have never heard of that referencing a 66? Whats the serial number? My '66 rifle (made in 1869) has the sight on the right. The sight is actually a buckhorn style I see these on Henry's and 66's. The serial # is 36640. This one is very similar. I took it off a Henry. You have a third model gun. Those are a rather rare sight. Why do you want to change the sight? If that sight does not want to come out easy I would not force the issue. You have a nice looking 66 and I would hate to bugger up the barrel or you do get it out and the new sight is loose in the dovetail. Bob, who do you think made this type of sight? Could these have been a factory replacement for those that didn't want a military ladder type sight? The ears on these can be bent quite easily. Very soft metal. Over the years, looking at Henry's and 66's, I have seen quite a few of these. Thanks Tom. I believe the receiver was polished at one time but long ago. It is getting it's patina back. When I bought this gun about 15 years ago it was shinier. Winchester put sights similar to those on. They are in the Winchester catalogs. Post a picture of the sight looking from the back so I can see its shape. Here are pictures of the front and back. The ears are bent but the metal is so soft it can be bent back into shape. This weekend I will be at a gun show and I will show the pictures to someone that might have an idea what you have. 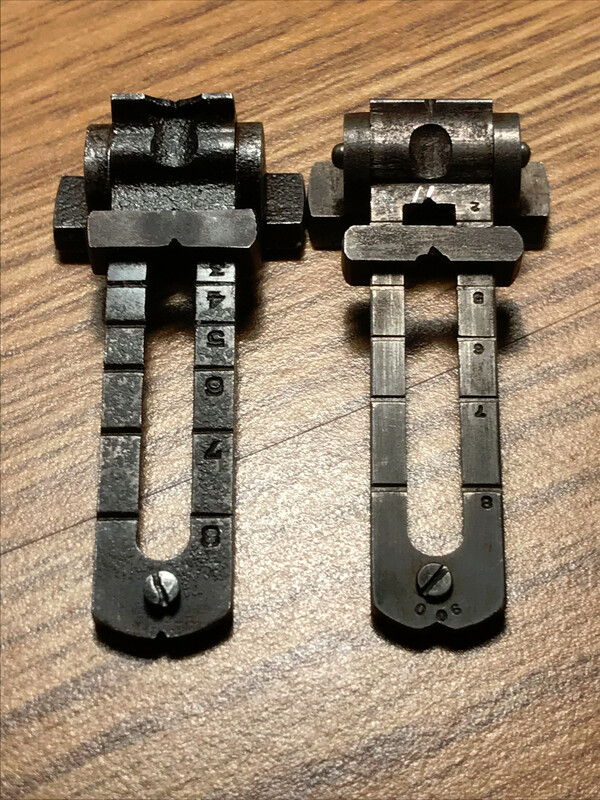 I have seen several variations of those kinds of fixed sights. It looks like there has been distress on the barrel from working on the sight. Yes, it appears that someone prior to my ownership has tried to remove this sight before and hit the barrel more times than the sight. He called them a Kentucky sight. They are not a Winchester. 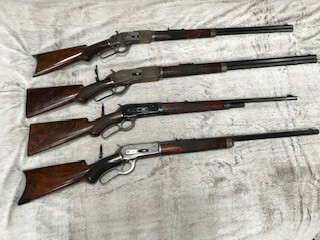 Winchester had the buckhorn and the cloverleaf in the fixed sight. He said the problem you have with getting it out is its not a production made sight so the dovetail is a little oversize and was hammered in tight. You might have to use heat to get it out but you would have to remove the wood first. Thanks everyone. Tom, I have thought of doing that. I hate ruining parts. Bob, there is no way I would put that much heat to it. If I do use the heat gun I will do my best to cover everything except the sight. My heat gun is adjustable so it is easy to control the heat. If your going to use heat, you want to heat the barrel to expand it and keep the sight cool so it shrinks. ideally you would heat the barrel from the bottom and then touch the sight with ice to cool it then tap on it. heating from the top side will heat the sight warmer than the barrel. If your going to trash the sight, you can use a steel punch. It will impart more force to the sight than brass. 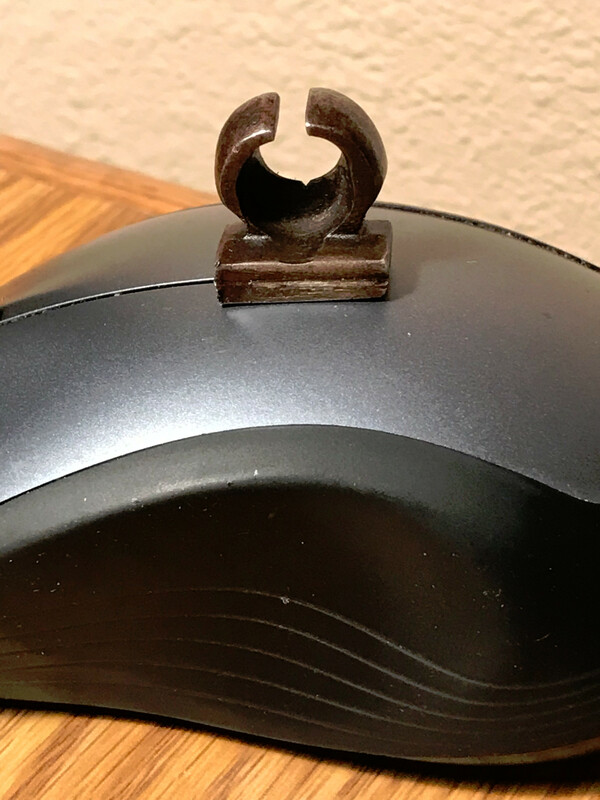 Have you tried a sight vise? I think I might try that before heat. A sight vise, even if I had to modify, or make a sight vise to hold the barrel without marring it or putting any kind of vise marks on the barrel. Like a hold down clamp applying pressure to the sight only, and sliding the sight out! Of course after using a penetrating oil such as kroil, that is well known for it's creeping capabilities! Keeping in mind to take your time and move slowly and cautiously all the while your doing this. If it were mine I would continually soak the sight wedge (so to speak) for a week, Isolating the small area of the sight so as not to use the whole can of fluid. You only need a drop or two between the sight base and the barrel surface. Hence the creep part. I also would have started out with the brass punch, like you did, so as not to harm the existing sight unless I had to. Good Luck! To all. I have used a steel punch too with a large brass hammer. I have soaked it with Kroil and other similar products for weeks. I use wood blocking when I use a punch to protect the barrel. The soldering iron is something I can try. What does a sight vise look like. I haven't had time to work on the gun lately but a 3" cutting wheel may be in it's future. Hate to ruin parts....I have a lot of small clamps. If I could build one side to rest against the barrel and the opposite side on the sight maybe that might move it. Like I said before the ends rock up and down but the center is stuck good.